Why is it that every time Drexel does something irritating, we’re still surprised by it? From constant construction to the years-old housing crisis, Drexel University has become this unending cavalcade of bad news. And yet, nothing is ever done about it. Maybe it’s because everyone’s used to high school, where it was always awful anyway, and so we disregard the fact that public high school was free and Drexel costs about $40,000 a year. Maybe it’s because too many people are content with the situation so they don’t see the need to cause a fuss. Maybe Drexel cuts the corners they can because they know nobody will say anything. In any case, I have yet to meet a student with a positive opinion on Drexel’s administration and academics. Did you know that for ENGR 113, First-Year Engineering Design — a mandatory class in every engineering major’s plan of study — students are advised to “chip in” fifty dollars of their own money to make their projects? Some quick math for you: if Drexel’s average cost of attendance is approximately $50,000 if you’re full-time, and each student in the class needs $50 worth of materials, the budget for this class would only need to be about a tenth of a percent of each engineer’s tuition. Drexel took in its largest freshman class in history this year. Where did all of that money go, if not our classes? On the grand scale of things, $50 might not be all that much. Honestly, compared to the prices of textbooks and other class materials, it’s pretty cheap, but the sting comes because textbooks are ever-changing, overly-specific course materials with no good workaround. This fee is literally just the budget deficit. There are so many students here who take out loans right from the start; asking them to pay for their classes separately from the tuition is just adding insult to injury. Of course, that’s not all. 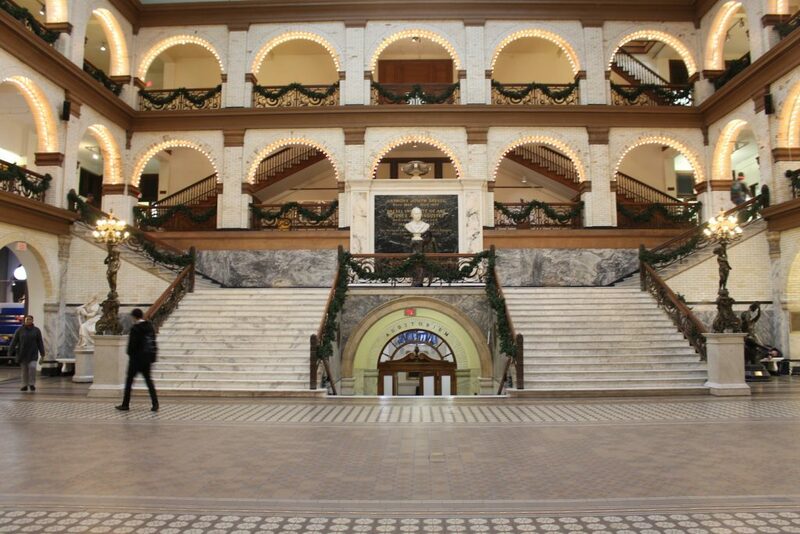 There are other infractions that show just how little Drexel really cares about its quality. Last week, a freshman friend of mine was complaining about one of their papers scoring a low C. The problem here wasn’t that they didn’t know what they were doing, but that the professor was completely out of line, making nonsensical corrections and marking blatantly obvious elements as missing from the paper. This student had to resubmit the paper after making corrections, and as such brought it to the writing resource center for help — as well as running it past everyone they knew, including an old teacher with a masters in english — but nobody could find a way to improve the paper, even with the instructor’s annotated “mistakes”. They then went to the professor directly, but were dismissed with a brief description of what was already marked off. Taking the next logical step, this student attempted to go over the instructor’s head — and was informed that he doesn’t even go to his department meetings. I’m sure you can imagine how infinitely frustrating this was for everyone involved. Is this level of irresponsibility really what Drexel condones? Does tenure apply so potently that openly bad teachers are untouchable? This, along with the usual uneven spreading of student tuition dollars, are all things that should be questioned by the student body. Underclassmen, especially freshmen, are all so used to being stepped on that nobody ever tries to do anything. This university is far from perfect; we all know that. Speaking up about university’s missteps is the only way to make that perfect college experience just a little bit more believable.